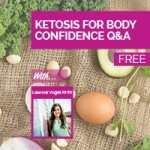 A recorded Q&A session on nutritional ketosis – how a high-fat eating style encourages reduced body stress, healing, and boundless health. Weight loss, too! Last week, a bunch of Healthful Pursuit readers and I got together (digitally) to chat about nutritional ketosis in celebration of my newest digital program, The Keto Beginning – a guide and 30-day meal plan on using healthy fats as our primary fuel. Eating fats shouldn’t scare us anymore. Research has proven that using fat as our primary fuel is the way to go, long term. When cows are pending slaughter (we’re talking conventional processes here), they’re fed grains, to fatten them up. So why do we have it in our heads that this same grain-rich diet, promoted by government organizations, dieticians, nutritionists and health enthusiasts everywhere, promotes health in us? Um, what? So… we’re basically following a carbohydrate-rich, low-fat eating style… with NO scientific evidence that it actually benefits us. I have become enthralled by the power of high-fat living and, I’m happy to report that; with the help of The Keto Beginning, thousands of you have, too. 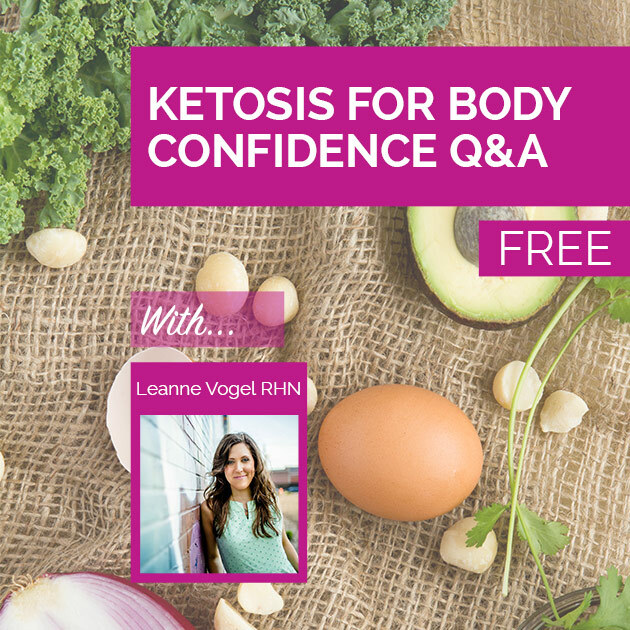 Today’s Q&A recording is must-watch if you’re curious about fat-fueled living and nutritional ketosis or have questions about the whole food-based nutritional ketosis program in The Keto Beginning. How to manage nutritional ketosis with multiple food allergies, including eggs. How to manage adrenal fatigue and hypothyroidism with nutritional ketosis and low-carb eating styles. Strategies for vegan and vegetarian-based nutritional ketosis. How to use nutritional ketosis to maintain your target weight. Introduction to using cyclical ketosis to balance hormone levels and follow nutritional ketosis for life. The best low-carb winter vegetables to maintain a state of nutritional ketosis. Why it’s important to BLEND your blended tea or coffee. How to include superfoods like spirulina, maca and chia seeds in your ketogenic lifestyle. Where nutrients come from in a ketogenic eating style. How to adapt a ketogenic eating style. How nutritional ketosis acts in your body and why ketosis leads to weight loss. 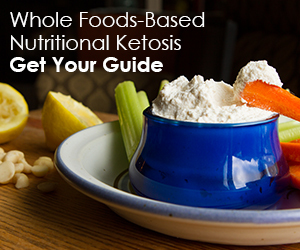 How to determine if nutritional ketosis is right for you. What to do when you crave carbs so much! The cleanest dairy choices, if you do not have a dairy allergy or sensitivity. Why I don’t include dairy in The Keto Beginning and my nutritional ketosis practice. How men adapt the meal plan in The Keto Beginning to suite their needs. How alcohol reacts in your body when you’re in ketosis. How our metabolism functions in nutritional ketosis. The best way to enjoy the holidays while in ketosis. What to do when you “fall off the wagon”. Spend less time in the gym and more time living. Actions that increase and decrease ketone levels. Outline of keto-friendly post-workout meals. The tools you can use to monitor your blood glucose and ketone levels and the best time of day to test. Why I’ve chosen a moderate-protein approach to low-carb living. What levels you want to see in your ketone production. The facts on being in nutritional ketosis while pregnant or breastfeeding. When to work with a professional on becoming keto adapted. How endurance athletes can use The Keto Beginning for optimal performance. How to use The Keto Beginning as a weight gain program, weight loss program and weight maintenance program. The role of digestion on acne production and skin imperfections.